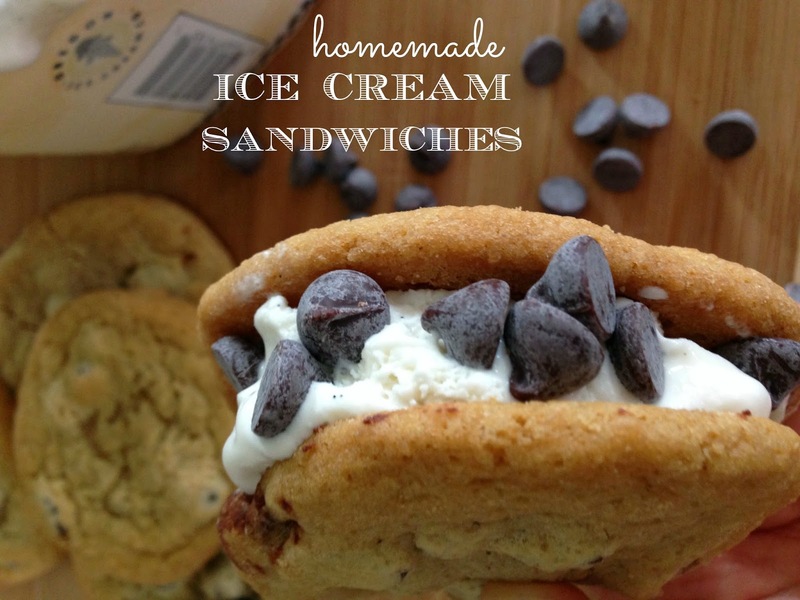 Ice cream sandwiches go hand in hand with summer. When we had some homemade chocolate chip cookies left over from a party last week my daughter thought it would be a good idea to make our own ice cream sandwiches for dessert. I love that she reminded me of such a simple, old time favorite to make. These are so easy to prepare and we definitely need to make these more often. Remember to let the ice cream get a little soft before you scoop it on your cookie. Wrap in plastic wrap and freeze to enjoy! 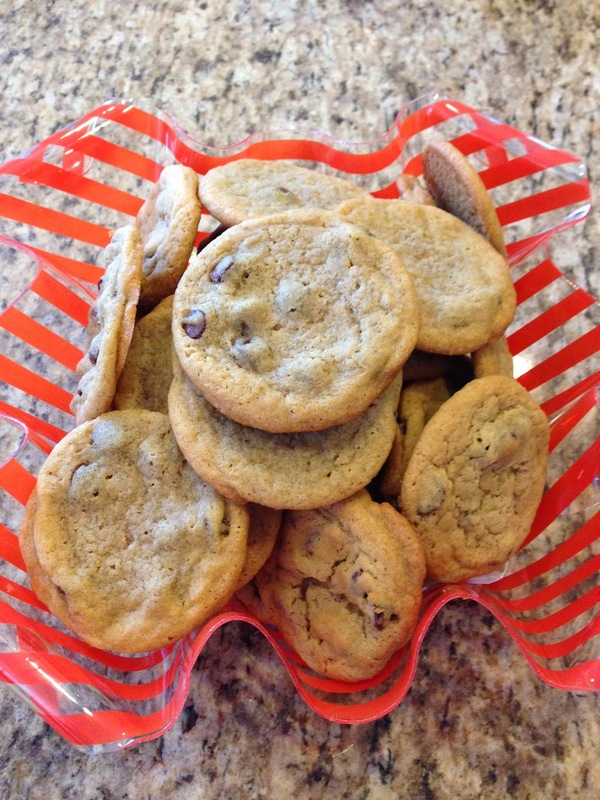 Put chocolate chips in the middle of cookie or on the sides to make it complete! These look so good! My kids would be all over them! My favorite go to summer desserts! Easy and always a hit! These look delicious! This is the perfect poolside treat! My crew would love these! Yum!